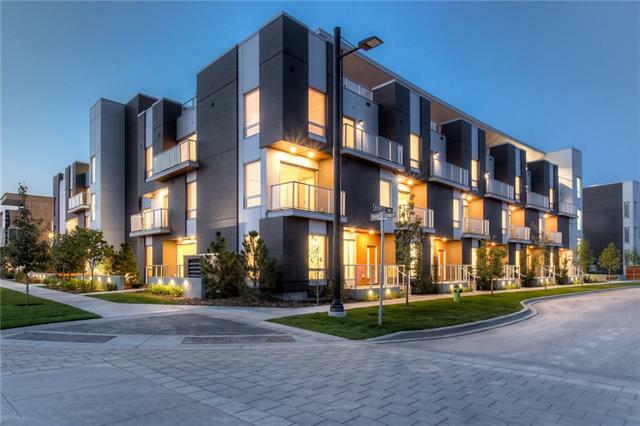 DESCRIPTION Welcome to Noble by Truman Homes located in the new, exciting & vibrant University District. This development incorporates built green gold building practices with timeless design that encompasses a keen connection between people & their surroundings. This beautifully appointed 3 story, 3 bedroom townhome presents 9’ ceilings, engineered wide plank hardwood floors & is illuminated with energy efficient contemporary light fixtures throughout showcasing the open living & dining areas & well-equipped kitchen finished with polished quartz counter tops, island/eating bar, contemporary cabinets, full height backsplash & high-end designer panel ready energy saving appliance package. There are 3 bedrooms & a 4 piece bath on the second level. The master bedroom boasts ample closet space & a private 4 piece ensuite. Both baths feature high gloss ceramic tile, quartz counter tops & environmentally friendly WaterSense fixtures, shower heads & toilet. Further features include a huge roof top patio, in-suite technology with integrated wiring, Smart Plug USB plug jack connection, TV/phone connections in principal areas, built-in smoke detectors, in-suite water sprinkler system & 2 titled secured, heated underground parking stalls. Also enjoy the many amenities that University District has to offer including retail districts, open spaces/parks & biking & walking trails. The University of Calgary, Foothills Hospital, Alberta Children’s Hospital & Market Mall are all close by. Home for sale at 4006 Kovitz Ln Nw Calgary, Alberts T3B 6H3. 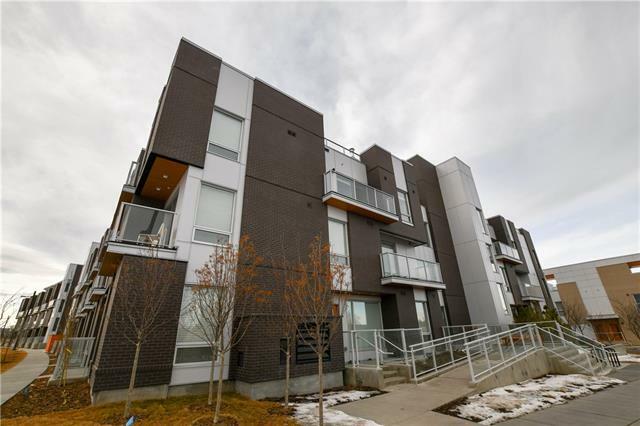 Description: The home at 4006 Kovitz Ln Nw Calgary, Alberta T3B 6H3 with the MLS® Number C4223604 is currently listed at $660,450.